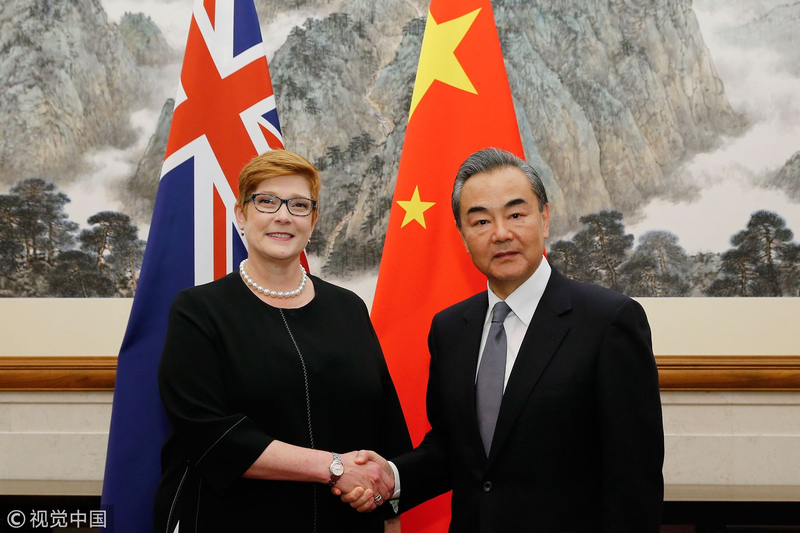 At the invitation of Chinese State Councilor and Foreign Minister Wang Yi, Australian Foreign Minister Marise Payne is paying a visit to China from November 7 to 9. At this historical juncture, the timing for the meeting between China and Australia could not be better and may serve to turn the page on a new chapter of their bilateral ties. This is not the first meeting between these two foreign ministers. Just two months ago, Wang Yi met with Marise Payne, at her request, on the sidelines of the United Nations General Assembly in New York on September 24th. That timing is worth interpreting �C it was just one month after the big event in Australian politics in which Scott Morrison replaced the former prime minister of Australia Malcolm Turnbull and became the new leader of the nation as well as the Liberal Party. As is well-known, the Malcolm Turnbull Administration suffered deteriorating diplomatic ties with China, due to Turnbull's personalized hawkish policy toward China in various aspects, such as Sino-Australian business and trade, human right affairs, as well as his bitter accusation of “China's gross interference in the internal affairs of Australia” according to Canberra's unilateral statement. However, the consistent mutual beneficial economic ties and increasing strategic interdependence between China and Australia have forced the leaders of both sides to reconsider how they resolve their political and economic conflicts. 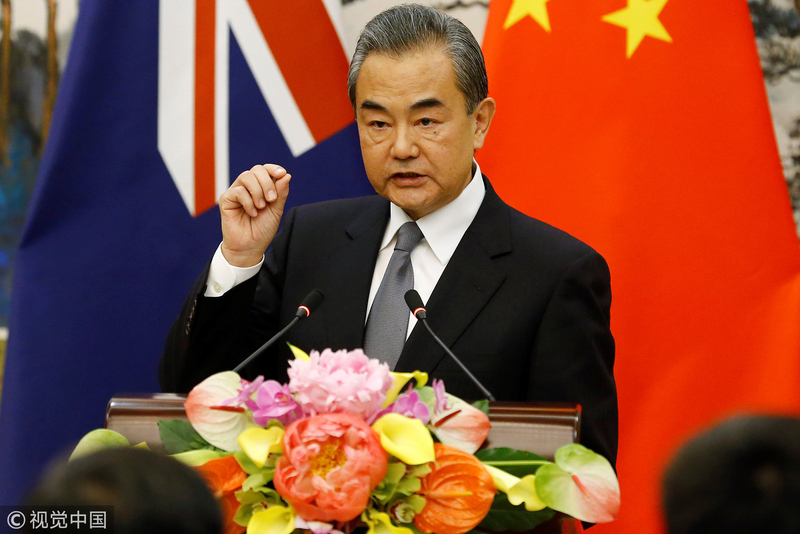 Wang Yi's words revealed China's full expectations and goodwill in improving relations with Australia, and received an enthusiastic response from the Australian side. This two-month-awaited meeting is widely considered as a "warm reply" from Canberra. Looking forward to the future, China and Australia have ample reasons and strong motives to develop their bilateral ties in both strategic and economic aspects. The first step, as Wang Yi stressed repeatedly, is the mutual trust building between them. Admittedly, there have been some problems with Sino-Australia relations during recent years. But the two sides have more cooperation needs. For example, they both are in strong favor of multilateralism, especially in the current era of increasing isolationism and economic nationalism. 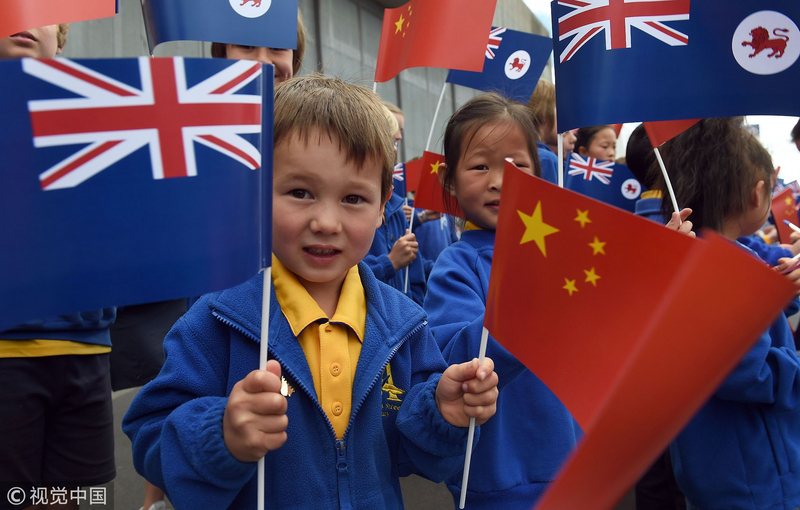 After all, Australia and China are important neighbors to each other, and both sides share extensive common interests while also face some common challenges in the region. In Malcolm Turnbull era, Australia was getting increasingly nervous and anxious about the rising Chinese economic and political influence in the South Pacific region, which is regarded as a backyard or "private garden" of Australia in the eyes of politicians in Canberra. However, as China repeatedly explains, the normal development of its relations with the South Pacific island countries does not affect the relations between these countries and other countries. The cooperation between China and those countries is always transparent and open to the world. As a result, China and Australia substantially do not have conflicts in the South Pacific region. As responsible great powers, both China and Australia are in duty bound to work together to conduct trilateral cooperation based on the needs of the South Pacific island countries, in order to help them achieve the UN 2030 Sustainable Development Goals at an early date. China's Belt and Road Initiative and Australia's plan to develop its northern region also create great opportunities for all participants. In sum, the old page has been turned already. Despite the storm, there's always a rainbow waiting. 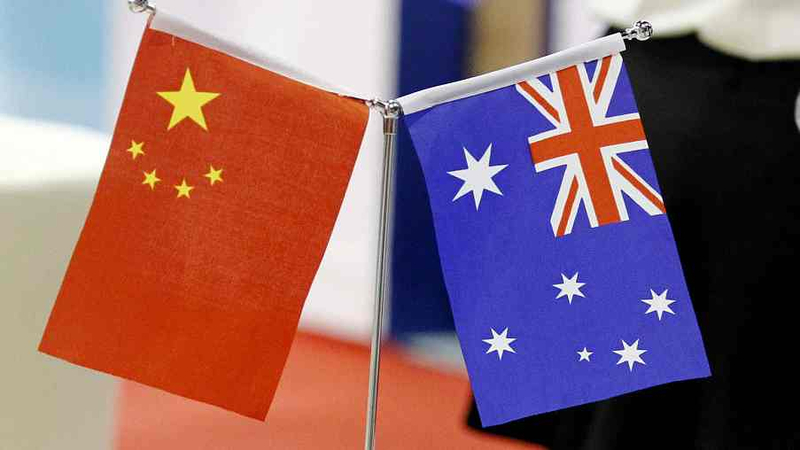 The new Australian Liberal Party administration may stand ready to explore new ways to deepen their bilateral relations on the basis of mutual respect, and China is full of expectation. Author: Wang Peng is a fellow at the Charhar Institute.